234+/-acres with custom handcrafted 5000 sq. foot home and separate in-law living space. Handsome millwork & fine custom detail using reclaimed wood from the property. Designed & built by engineer & craftsman, leaving nothing to compromise. 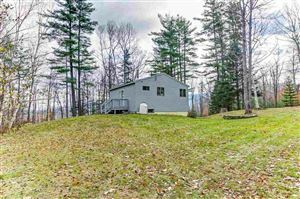 Nestled at upper reaches of the Valley in the close knit village of Lyman. 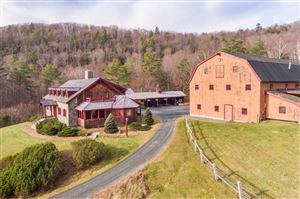 Absolutely secluded with rolling fields, 2 small ponds, green house, barn, forested woodlands and exhilarating mountain views to vistas that will take your breath away. Grand entry, kitchen, large pantry, dining room that you won’t want to leave while taking in distant views that go on for an eternity. A 20 x 40 great room with fieldstone fireplace where you'll wind down your day after a day of living close to the earth. Adjoining spacious room is well suited as a study or office-internet is available at property too! 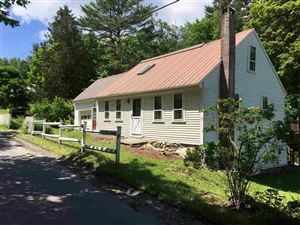 Upstairs is the master suite, 3 additional bedrooms, bath spa/exercise room with separate large 1st floor laundry and oversized utility/mudroom. A 2 bedroom in-law or caretakers’ quarters is a bonus to this already spacious home! For all of your vehicles, an attached carriage/equipment shed with multiple bays. You'll marvel at the beauty and ruggedness of the 40 x 80 foot, 3-level post/beam barn with steel eye beams. Ideal as legacy property, family estate or corporate retreat. Homesteading and seclusion at its best! Looking for a "safe room" this too could be the property you've been longing for. Close to 93 & 89 each, in the heart of White Mountains.